I have had numerous articles published, covering a broad range of topics. You can download or view many article clips as PDFs (just click where it says PDF). If you dont have the free Adobe PDF reader, you can download it here. Selected articles are also available for viewing online. Reprint rights are available for many articles. For more information, just ! Live Your Dream Series - Jane Mitchell: Telling Stories, Early Spring 2009 edition of Living In Style magazine (external link). 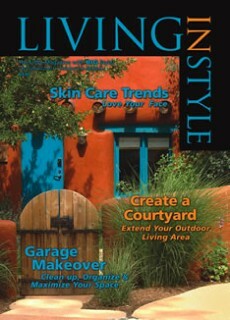 Rising to the Challenge of Our Water Crisis, cover story, Early Spring 2009 edition of Living In Style magazine (external link). Take Your Kids to the Polls: A Primer on Democracy in Action, first published in San Diego Family Magazine, November 2006. Life Skills 101: Money Management, Cooking, and Organization for Kids, first published in Living in Style Magazine, September/October 2006. The Name of the Game is Fun: Equipping Your Child for Sports Success, first published in Living in Style Magazine, September/October 2006. Lead Them to Water: Water-Themed Summer Camps, first published in San Diego Family Magazine, March 2006. Cover story. The Montessori Mystique: Believing in children turns 100, first published in San Diego Family Magazine, June 2007. 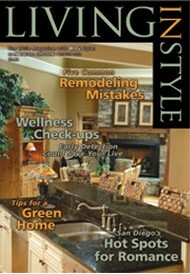 Building a Neighborhood, first published in Living In Style Magazine, Winter 2007. Much Ado About Macadamias, first published in Todays Local News, Business section, page A7, April 27 2006. Green Gold: small avocado growers play big role despite competition, first published in Todays Local News, Business section, page A7, March 31 2006. 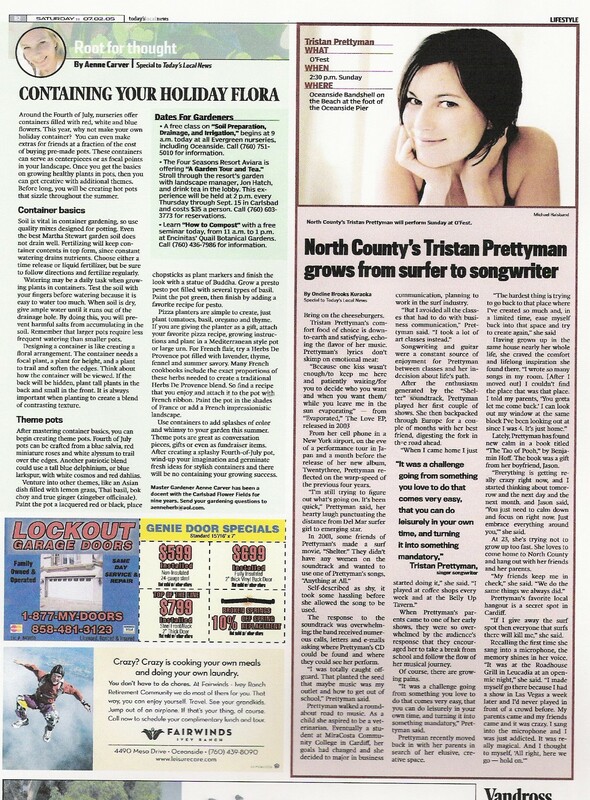 O'Fest Celebrates With Music, first published in Todays Local News San Marcos/Vista, page B3, July 2 2005. Small Farm Gives Kids the Big Picture, first published in Todays Local News San Marcos/Vista, page A2, May 17 2005. It Feels Good To Do Good, first published in Living In Style Magazine, Holiday 2007. Project You, first published in Living In Style Magazine, Winter 2007. Time To Get Real: Home Sellers Adjust Expectations Along With Home Prices, first published in Todays Local News, Business section, September 23 2006. Estate Planning, first published in San Diego Family Magazine, January 2006. 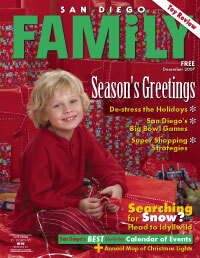 Car Safety For Parents, first published in San Diego Family Magazine, December 2004. Let's Go Camping!, first published in San Diego Family Magazine, June 2007. Safe Surfing for All Levels, first published in San Diego Family Magazine, March 2006. San Diego Moms and Extreme Sports, first published in San Diego Family Magazine, November 2005. 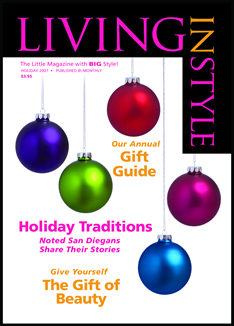 This Is the Story of Two Local Children's Authors That Could - And What They Learned Along the Way, a two-part series, first published in San Diego Family Magazine, November 2007 and December 2007. A Father-Son Business: Escondido Coin and Loan, first published in Todays Local News, Business section, page A7, May 11 2006. Reid's Orchids: the Magic of the Blooms, first published in Todays Local News business section, March 24 2006. Filipino Depot brings Asia to San Marcos, first published in Todays Local News business section page A7, February 7 2006. Miracosta College gateway to biotech industry, first published in Todays Local News business section page A6, February 2 2006. The Magic Kingdom Awaits: Have more fun at Disneyland with these parent-proven tips, first published in San Diego Family Magazine, June 2007. Ideas from the EDGE, a web-based travel guide to San Diego for MSN and Ford, launched early 2007. Call of the Wild: The California Wolf Center, first published in San Diego Family Magazine, October 2006, cover story. Out & About: Downtown San Diego, first published in San Diego Family Magazine, June 2006. San Diego Metro Coastal, a family adventure guide to the region, first published in San Diego Family Magazine Out & About 2006, pages 34-49.